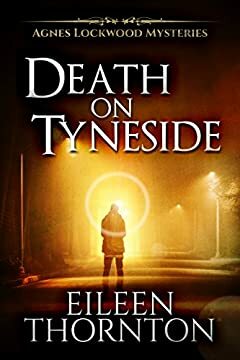 Agnes Lockwood returns to Tyneside, only to stumble across another dead body. On her first visit, she helped the police solve a murder and gained quite the reputation as an amateur sleuth. Now, she is simply looking forward to meeting again with Alan Johnson, a D.C.I. with the Newcastle police force. She is hoping their relationship will continue to blossom, but on her first day back in the city, she gets caught up in another murder. And this time, her intrusion into the police investigation pushes Alan Johnson’s patience to the very limit. This is a standalone mystery, and can be enjoyed even if you haven't read other books in the series. ????? - "I couldn't put this one down once I started it... Kept me guessing the whole time, right up to the end." ????? - "A great mystery that creates fun characters and a forward moving plot." ????? - "If you like lovely, light mysteries with a clever amateur sleuth who can be too nosy but always kind, you will love this one."